With the Presidential election behind us, it is now time for us to choose between other items of the utmost importance… like pumpkin or pecan pie? Or who to sit next to at the dinner table on Thanksgiving. Thanksgiving is about being home and in familiar surroundings, and for the Eagles, home has definitely been where the heart is, at least in 2016. 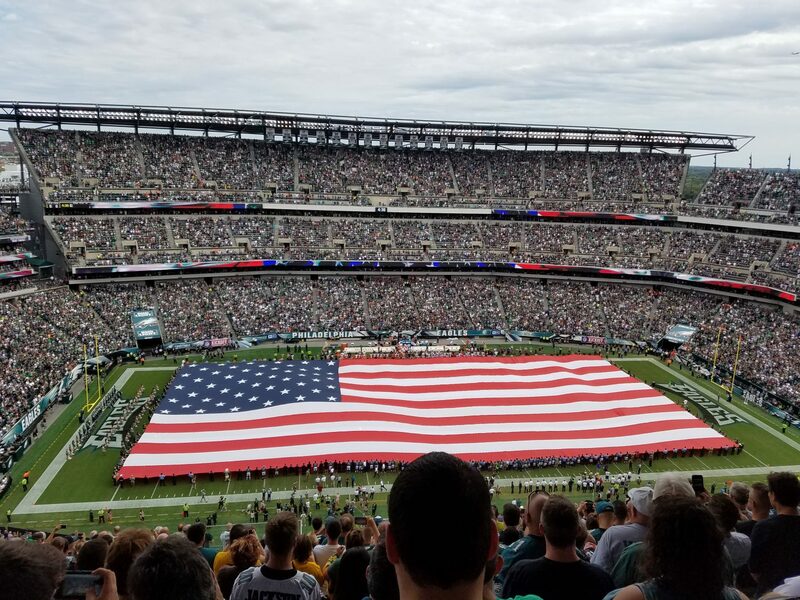 The Birds are 4-0 in the friendly confines of Lincoln Financial Field, and could possibly earn their first undefeated season at home for the first time since 1992, when they went 11-5 overall and lost in the 2nd round of the playoffs (They actually went 7-1 at home in 2004, with their only loss coming on the last game of the season in which they rested all of their starters in a game that meant nothing for playoff positioning. So if you ask me, their last undefeated season at home was really 2004). Last Sunday, the Eagles were at a crossroads of sorts. A 3-0 start had turned into the team losing four of its last five games, and a loss against the Falcons could have squashed any hopes this team had of making the playoffs. The Birds were facing an Atlanta team that was averaging almost 34 points a game, yet the Eagles defense held them to only 15 in a 24-15 win. They could have won by much more than that, but the 2016 edition of the Philadelphia Eagles seems to be hellbent on keeping games close and searching for any possibly way to lose. Luckily, they do not always succeed. This week, the Eagles face what will be their toughest test of the year. The Seahawks have lost a total of five games at home over the last five YEARS, and their stadium is regarded as one of the loudest, if not THE loudest, of all NFL stadiums. I’m actually not sure why. Seattle natives don’t seem like the rambunctious type, but more the subdued, chilled out type, so I can only decipher that all the noise that Century Link field seems to generate must be due to the configuration of the stadium itself. The Eagles face an uphill battle but are they good enough to pull out a win? Absolutely. The problem is that they also seem unable to put together an error free, almost perfect game, which is what they may need to do in hostile conditions on Sunday. The Birds will keep it close and have a chance in the 4th quarter. But too many missed red zone opportunities and dropped passes by a mediocre receiving core will doom them once again. Birds lose 27-20, but this is one loss that I can’t honestly say I would be disappointed in.